There are times when Mathlete and I plan to go out to a nice dinner alone and never end up making it because of schedules or babysitter problems or life in general getting in the way. It is those times that I like to have a few “fancy” dishes that look like they came from a fine restaurant but are really easy to to make at home. 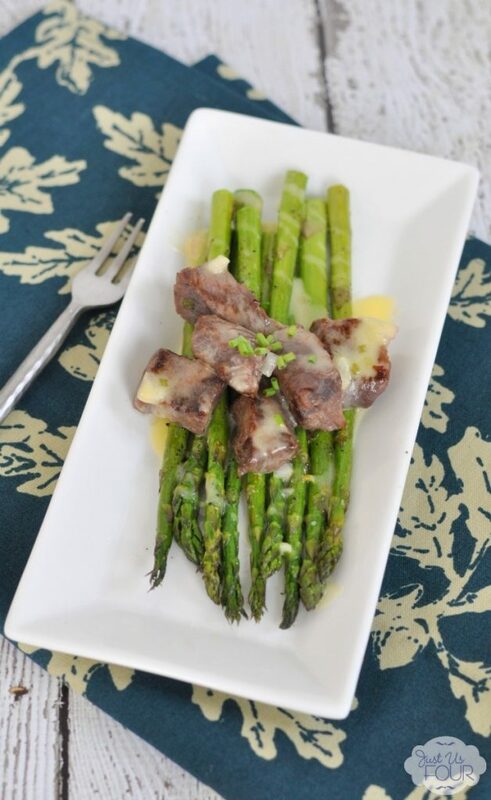 I recently make beef tips with béarnaise sauce, made with white wine vinegar, and roasted asparagus for just one of those nights.